I led one of Barclays’ largest development projects to develop an online investment platform the mass market. With low interest rates and difficult to access financial advice, Smart Investor is designed to combine behavioural economics with simple design and language to open up investing to everyone. 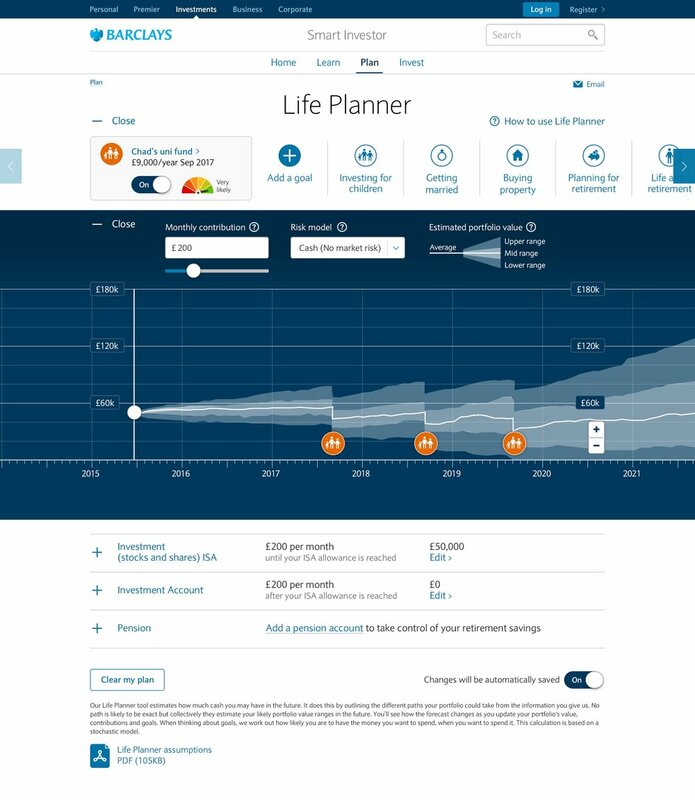 One of the key innovations in Smart Investor is the LifePlanner tool. This allows people to associate goals to their savings and plan for the mid to long term in their savings and investments. The interactive, scrollable pages allow for different scenarios and views to encourage sustained saving. On average we will have 11 pensions at the end of our working life and will probably have lost 4 of them. The Pension Dashboard is a cross industry platform to share data on pensions and allow individuals locate all their pensions to help plan for later life.